I needed a viola for folk music. When I ordered it I was a little afraid that it will not meet my expectations. I have to say, I'm impressed. I have tried many instruments in this price range and by far this has the best sound and setup. It has a mellow, nice sound which I didn't expect. With a little setup and restringing the viola it has even louder and mellower tone which I find quite impressive. I would even say its tone is similar to many really expensive violas I have tried (1000¤ price range). Although the sound and playability is superb, the instrument has its flaws. The finish has some flaws but I like the colour of it. It's like the inner part of Fender's sunburst coloured guitars. The wood's quality is decent but I believe the fretboard is not made of ebony which is not a big deal at this price. Tuning is not stable right out of box. The fine tuners are stiff and will be changed. With a little more money these are fixable problems. 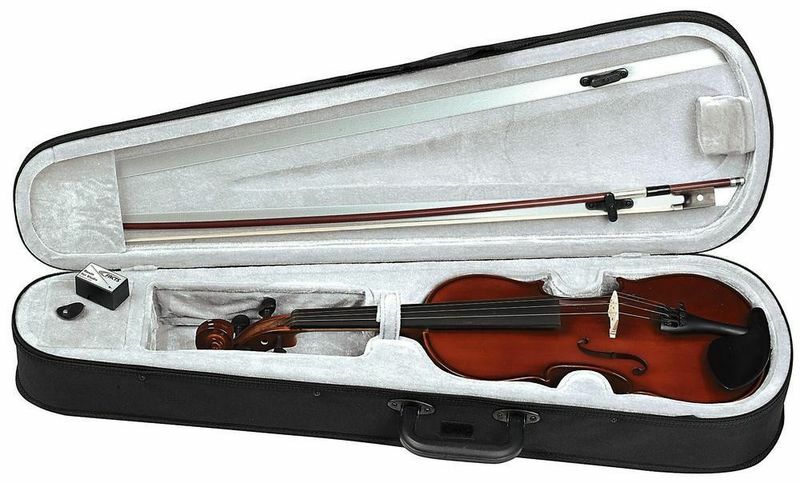 The viola is a beast at this price. I would recommend the instrument for everyone. ID: 360298 © 1996–2019 Thomann GmbH Thomann loves you, because you rock!